The home page of the Fort Worth Chapter of the American Guild of Organists. The Fort Worth AGO Chapter is a friendly group of organists, choral directors, and classical music enthusiasts. 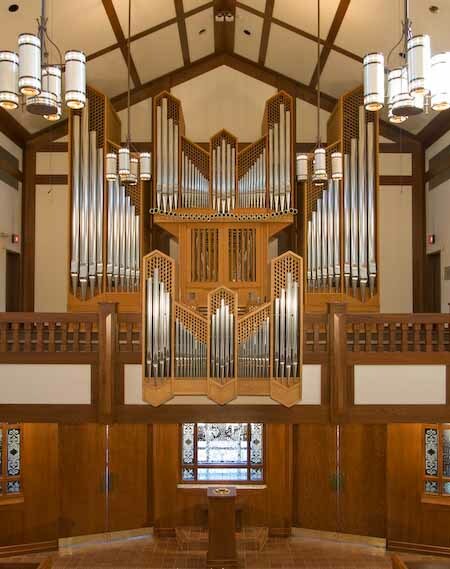 Fort Worth and surrounding areas have many pipe organs; this website is designed to be a resource to learn more about area organs, upcoming concerts, and chapter events. Thank you for visiting! TO JOIN OUR CHAPTER: (Do not have to be an organist or musician.) The monthly magazine, The American Organist, is alone worth the fee to join. Receive chapter e-blasts on upcoming chapter or community organ related events, network with other musicians at chapter socials and dinners!